A collection of favorite wedding favor chopsticks. 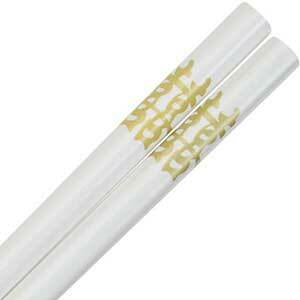 In Asia, wedding chopsticks with a good wish character is most popular such as Longevity or Double Happiness. 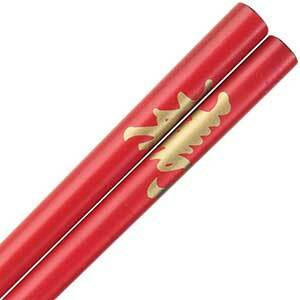 We have a great selection of colored chopsticks in the hottest wedding colors for the new year. Many of these can be engraved and personalized to make your occasion very special, unique and memorable. 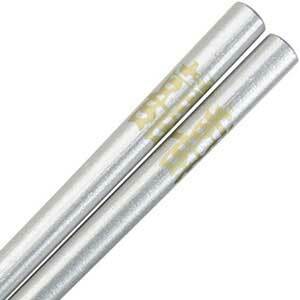 See our Engravable Personalized Chopsticks category for our complete selection. Red glossy painted Japanese style chopsticks with gold longevity kanji (called Kotobuki in Japanese). 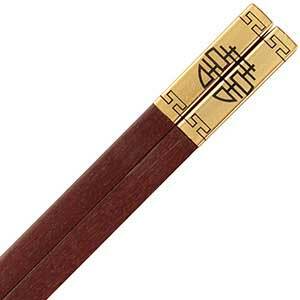 Chopsticks with longevity kanji are suitable for birthdays, funerals and occasions where long life and prosperity are wished. 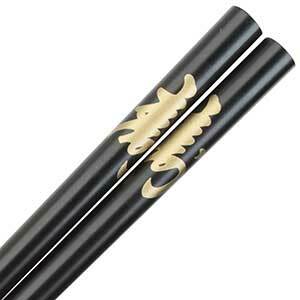 These chopsticks are 8-7/8 inches long with smooth tips and blended profile handles. Made in China. 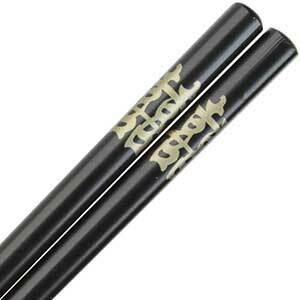 Black glossy painted Japanese style chopsticks with gold longevity kanji (called Kotobuki in Japanese). Chopsticks with longevity kanji are suitable for birthdays, funerals and occasions where long life and prosperity are wished. These chopsticks are 8-7/8 inches long with smooth tips and blended profile handles. Made in China. **This is a discontinued product. 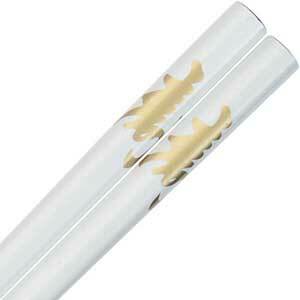 Stock is limited.White glossy painted Japanese style chopsticks with gold longevity kanji (called Kotobuki in Japanese). Chopsticks with longevity kanji are suitable for birthdays, funerals and occasions where long life and prosperity are wished. 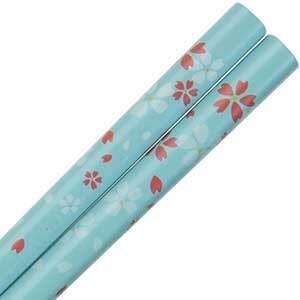 These chopsticks are 8-7/8 inches long with smooth tips and blended profile handles. Made in China. 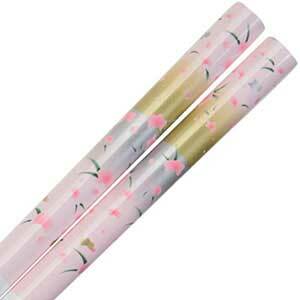 These white with pink floral pattern lacquered wood Japanese style chopsticks are perfect for any occasion, especially weddings. The pink background at the top has a pink floral pattern. 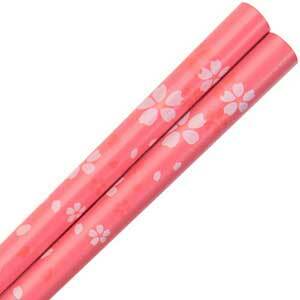 The chopsticks are 9 inches long with a round handles and smooth tips. Made in China.